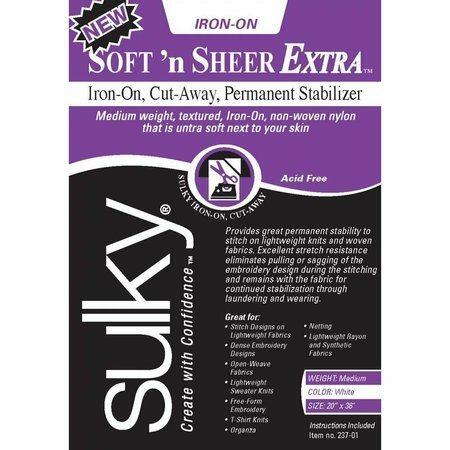 Sulky Soft'n Sheer Extra is 1-1/2 times as heavy as the original Soft'n Sheer with the added convenience of a fusible, iron-on coating. Time-saving, mid-weight, and cut-away. The perfect choice when you want a cut-away that is a little heavier than Soft'n Sheer but not as heavy as Cut-Away Plus. 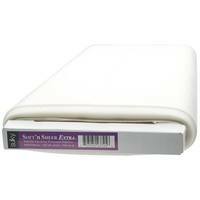 This roll contains 1 yard of stabilizer at 20 inches wide.